Flashpoint testing for petroleum, fuel, and chemicals. 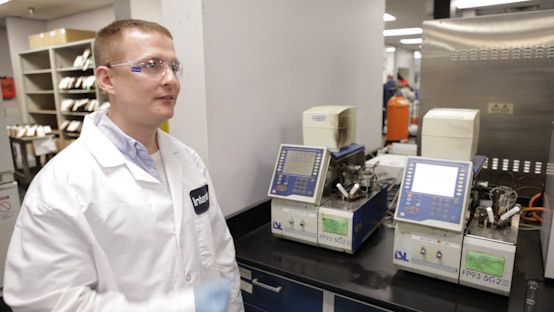 Intertek provides flashpoint testing through a global network of laboratories. Flashpoint testing is conducted to industry practice, including ASTM and other test standards. Intertek flashpoint tests are available for petroleum, chemicals, fuels, consumer goods, and many other materials. Flashpoint testing measures the temperature at which a volatile material vaporizes, forming an ignitable mixture.